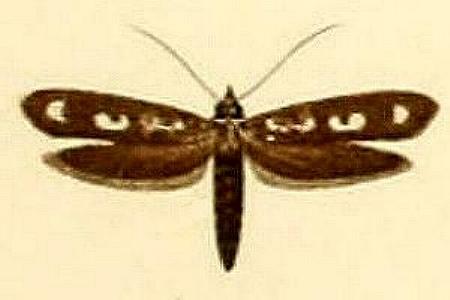 The adult moth of this species has dark brown wings. 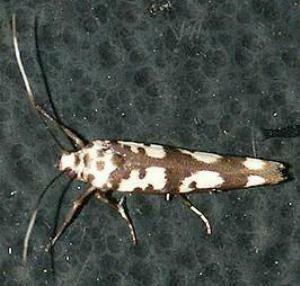 The forewings each have three large white spots which each contain several small dark spots. LeapFrogOz, Kuranda, 2015, p. 220. Volume 2 Part 6 (1902) pp. 701-702, No. 882, and also Plate 66, fig. 16.